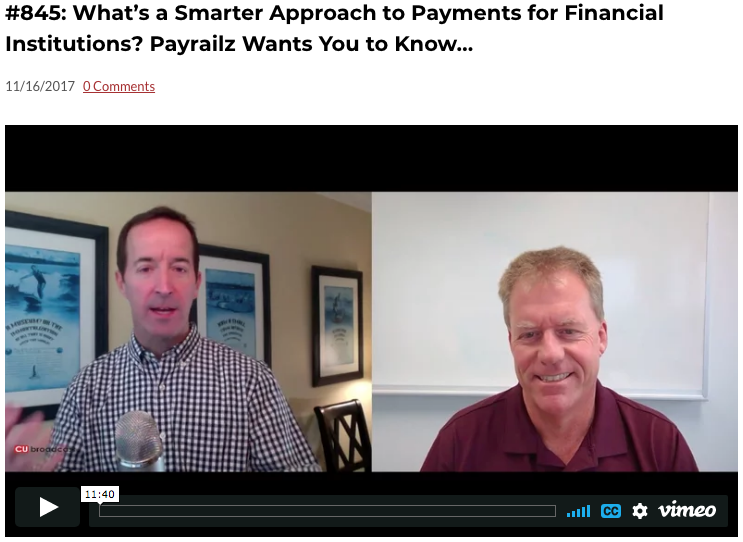 Payrailz offers smart and engaging payment experiences for the financial services industry. Our company was built around the central mission of making payments and money movement smarter and more engaging. We enable financial institutions to better meet the expectations of their users by offering a payment solution with a “do it for you” approach that keeps users well informed and in control. Our personalized, responsive service ensures we provide support when you need assistance. Payrailz helps financial institutions exceed expectations by offering solutions users expect today while constantly innovating to meet needs of the future. Smart Pay is a new generation of electronic bill presentment and payment with all the features you’ve grown to expect from a bill-pay solution plus the ability to interact conversationally with digital assistants and messaging bots. Our AI-driven capabilities alleviate the stress of making payments by delivering insights about your bills and payment accounts. Our forward-thinking electronic bill presentment and payment experience offers the beautiful design, ease of use and security needed to engage customers. View your billing information and pay anyone with a choice of delivery times – emergency/immediate, same day, next day, future date, recurring schedule or simply “set it and forget it” with our auto-pay capabilities – and payment methods. Person Pay enables frictionless digital payment experiences between consumers. It provides the freedom to send, request and split money electronically with friends, family or any individual with an account at a financial institution in the United States – simply by providing their email address or mobile phone number. Payments can be delivered in real time, same day, next day, or on a future date. Responding to consumer expectations requires being able to facilitate transactions across any banking relationship. This service lets consumers transfer money between accounts at your financial institution and accounts they hold at other financial institutions in the United States. With our advanced authentication solutions, you can rest assured that transfers are delivered accurately and securely. Transfers can be delivered in real time, same day, next day, on a future date or a recurring schedule. With our advanced authentication and account funding solutions, you can rest assured that new account opening deposits are delivered accurately and securely so you can reduce your operating costs and lower abandonment rates. Business Smart Pay is a new generation of electronic bill and invoice presentment and payment with all the features you’ve grown to expect from a business bill pay solution plus the ability to interact conversationally with digital assistants and messaging bots. Our AI-driven capabilities can improve your cash flow and deliver insights about your invoices and payment accounts. Businesses need smarter payment solutions that allow them to spend less time on their finances and more time on their business. Payrailz Business Bill Pay’s intuitive design makes interactions for bill and invoice presentment and payment simple and engaging. Businesses can establish user entitlements, view their billing information, make one-time, future-dated, recurring and automatic payments, as well as invoice payments to their business partners – or anyone they need to pay. Customer Pay enables frictionless digital payment experiences between your business clients and their customers. It provides them the ability to disburse payments electronically to their customers holding accounts at financial institutions in the United States – simply by providing an email address or mobile phone number. Payments can be delivered in real time, same day, next day, or on a future date. Responding to your business clients’ expectations requires being able to facilitate transactions across any banking relationship. This service enables your businesses to move money between accounts at your financial institution and accounts they hold at other financial institutions in the United States. Transfers can be delivered in real time, same day, next day, on a future date or recurring schedule. Make getting started with your financial institution as easy as possible with solutions like New Account Funding, which allows businesses to fund newly opened deposit accounts from checking and savings accounts they hold at other financial institutions in the United States. With our advanced authentication solutions, you can rest assured that transfers are delivered accurately and securely. GLASTONBURY, Conn., March 6, 2019– Payrailz, a digital payments company offering secure, smarter and more engaging payment experiences to banks and credit unions, announced that Digital Federal Credit Union, a top 20 credit union nationwide with over $8 billion in assets, will now offer its full suite and platform of payment services. Through this partnership, Digital Federal Credit Union’s more than 700,000 members throughout the United States will have access to a single platform that provides a seamless member experience for bill pay, bill negotiation, P2P and A2A services delivered seamlessly across all access points. Half of DCU’s members do not use a DCU branch and instead access their accounts digitally, over the phone, at ATMs or at shared branch locations, further reinforcing DCU’s need for an innovative yet unified user experience. Payrailz’s technology draws inspiration from other industries that have leveraged advancements in technology and artificial intelligence to meet the growing demand to automate tasks for users. 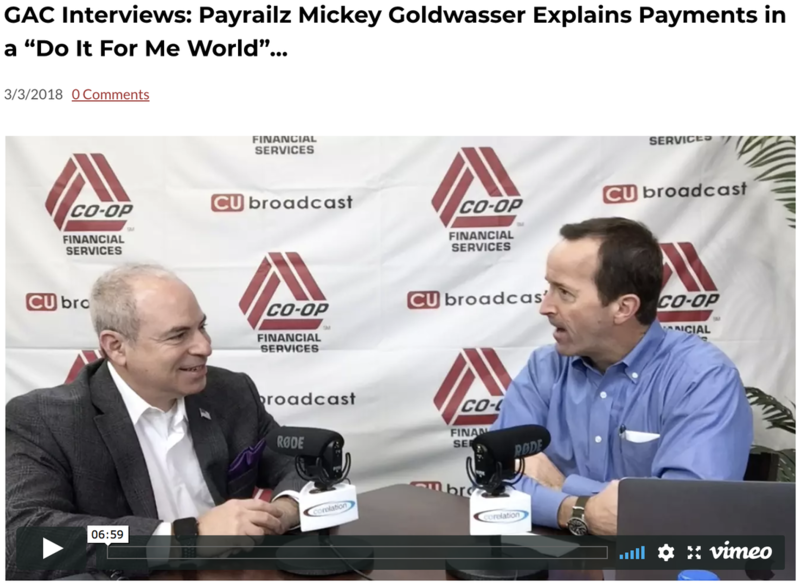 Payrailz believes the industry is ready for a “do it for me” solution to better manage their payment needs and has built a powerful engine driven by predictive and proactive smart technology to create value added experiences. Digital Federal Credit Union has an in-house innovation department dedicated to mobile and online banking development and partnered with Payrailz to leverage its modern technology infrastructure to gain specialized expertise in payments, including its sophisticated smart payments routing, artificial intelligence and real-time payments capability with a focus on adding value throughout the member’s payment experience. This decision allows Payrailz’ technology to offer DCU members a full range of innovative payments services that meets the needs of today and the innovation of tomorrow. Digital Federal Credit Union is the largest credit union in New England, the tenth largest in the United States based on member accounts, and the 14th largest in the United States based on its more than $8 billion in assets. Chartered in 1979 for employees of Digital Equipment Corporation, Digital Federal Credit Union currently operates 22 full-service branches and serves more than 700,000 members in all 50 states. DCU offers a full range of financial services to consumers and businesses. For additional information, visit www.dcu.org.